Just like any other high pitched topic of interest in the gaming industry, the slim variants of the eighth generation video game consoles have been gathering enough attention right a few months after the launch of the original consoles themselves. 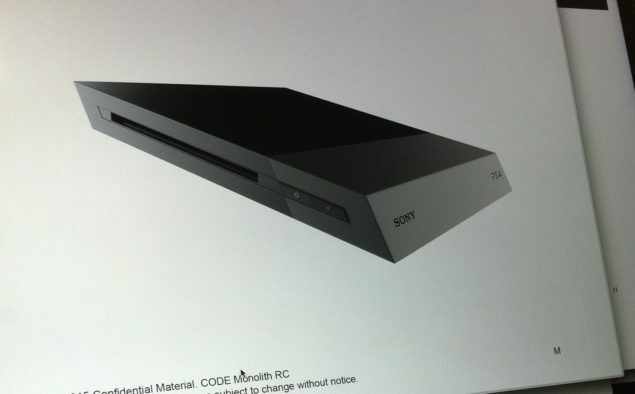 Several rumors and leaks have suggested that Sony Computer Entertainment might already be working on the inevitable PS4 Slim, but the latest leak images are the first one to showcase what clearly is an alleged slim model of the PS4 console that is expected to be announced at this year’s Electronic Entertainment Expo or Gamescom. Rumors and discussions about the PS4 slim began soon after Sony launched its eighth generation video game console, suggesting that the Japanese platform holder might come out with a slim variant of the PS4 with improved hardware and aesthetics sooner than later, but until now there hasn’t been anything on the visual end. However, a number of leaked images started showcasing slim and more compact PS4 console started making rounds on the internet lately, backing up the rumors that suggest that Sony is already hard at work for the production of the PS4 slim. The images come from an Italian website called Multiplayer.it, but the author of the article couldn’t name the original source behind the leak. 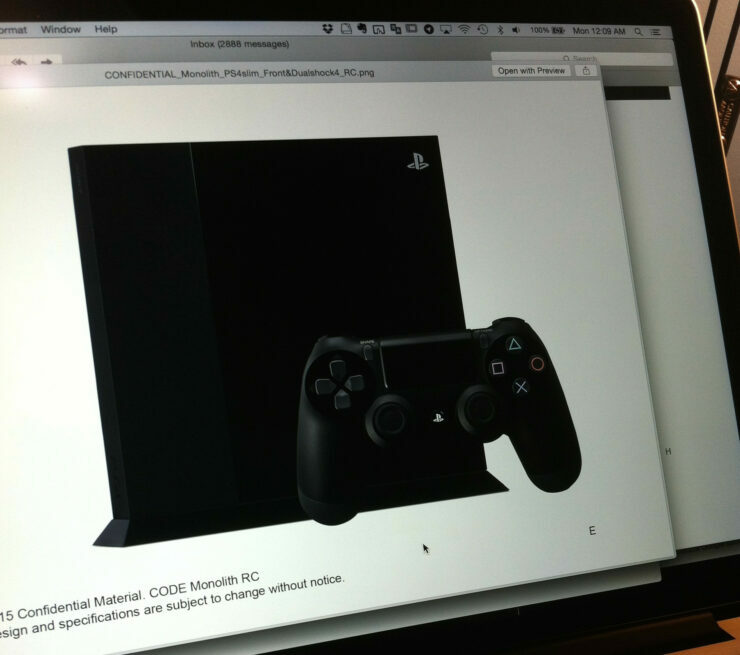 The screenshots, being displayed on MacBook Pro, seem to be press images for the PS4 Slim. 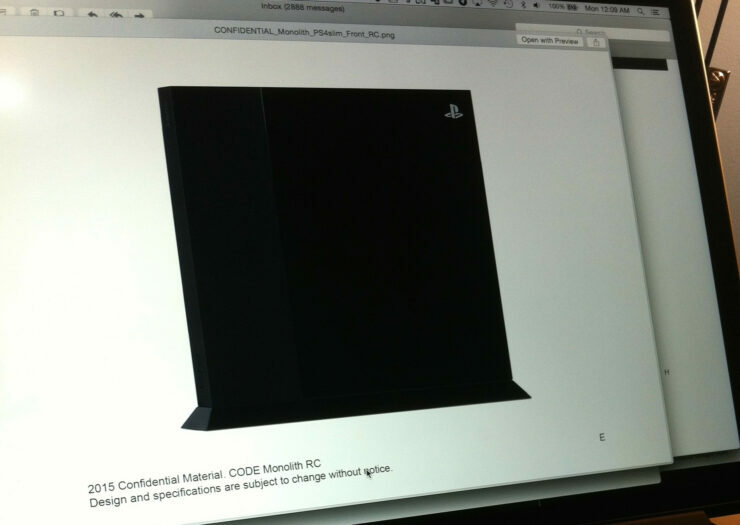 Showing drastic reduction in the scale of Sony’s latest console, the images list “Monolith” as the codename of the slim model. 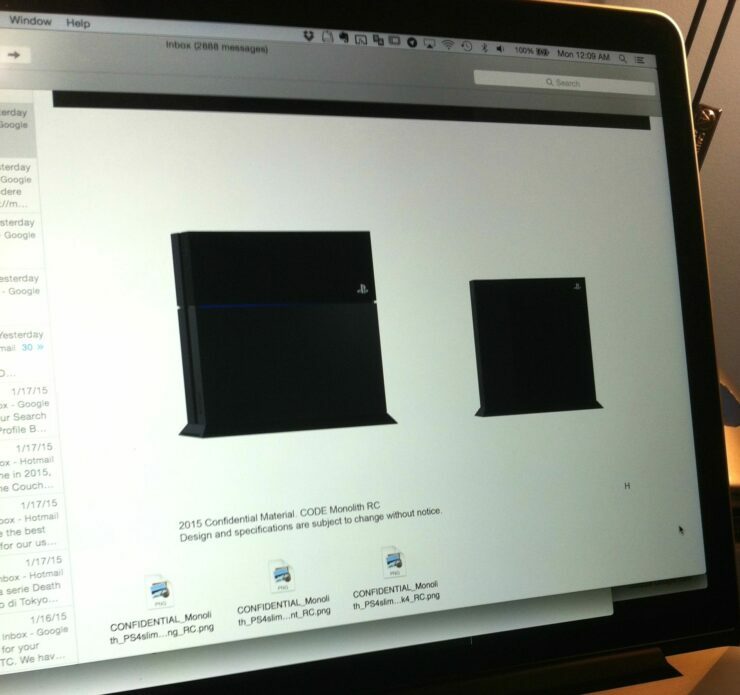 In the images shared below, you can see that the PS4 Slim appears to be around half as big as the regular version, with the disc slot displaced, and notable changes in its size and shape compared to the regular console. 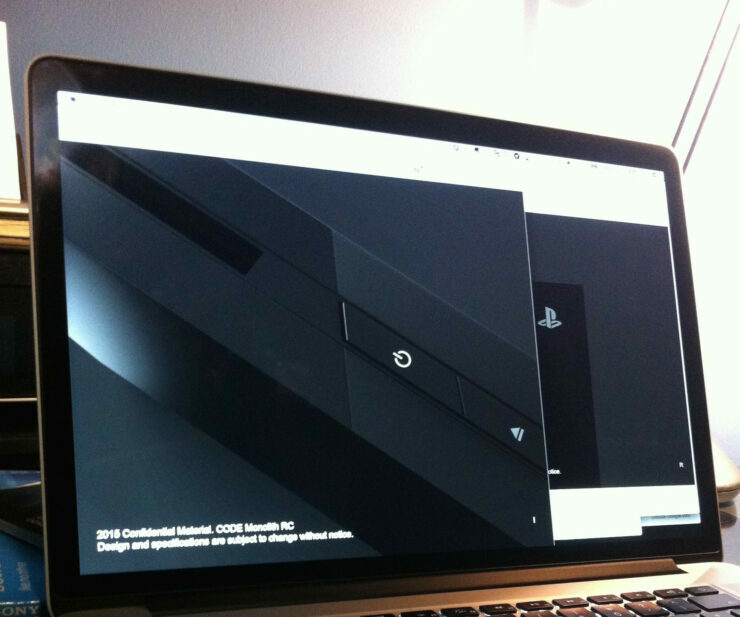 The source agreed to the fact that these images may not be showcasing the actual PS4 Slim, as their authenticity can’t be verified at this time, and it is only possible that they could be a mockup or a fan art. However, the leak sure puts in more fuel for eager fans to wait and see if Sony comes up with something related to the slim variant of PS4 at E3 or Gamescom 2015. 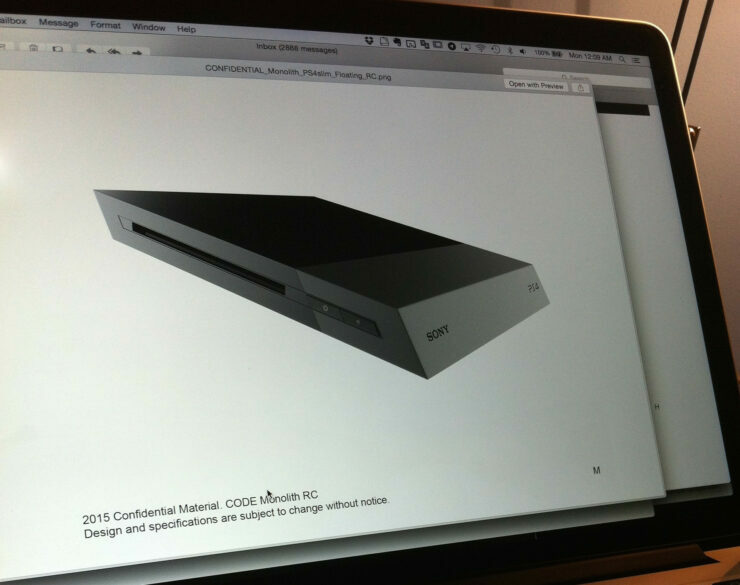 NeoGAF community is already tagging these images as fake, but these may as well could just a part of the phase documents for the PS4 Slim that, talking with previous timeline of slim variants for PlayStation consoles in perspective, may arrive in 2016-17.